Taiwan’s BE Accelerator, which cultivates medical and healthcare startups, unveiled its first six startups to investors at a demo day in the end of November. Ranging from PenguinSmart, which offers remote AI-powered developmental therapy for children,to Taipeibio, which offers new technologies relating to bone grafts and regenerative collagen, they all reflected the accelerator’s focus on digital healthcare, AI-powered healthcare and medical devices. The accelerator, backed by BE Capital and Daren Medical Group,offers startups at home and abroad a four-month venture-capital-building program, with a focus on helping them to expand in Asian markets, especially China, Taiwan and Southeast Asia. “These six startups are the first batch of graduates from the accelerator, and they have finished four-month program, said Arthur Chen, BE Accelerator’s managing director. “In addition, total fundraising has reached US$ 4.2 million,” Chen said. 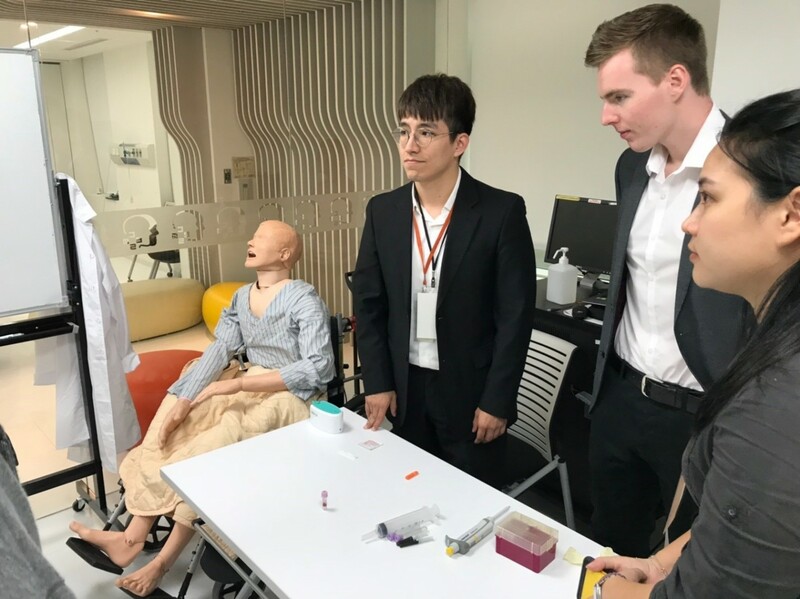 The accelerator, which joined Taiwan’s first government-backed incubator Taiwan Tech Arena in September, also gave investors a look at ClearMind Biomedical, a startup that can treat strokes, TelePlus HealthCare that offers telemedicine and tele-education, Deep01 that creates medical images using AI and Winooz that provides on-the-site disease-risk assessments. Chen said that Taiwan’s assets included savvy talent and a high level of medical technology. One of the main missions of his accelerator, he said, was to link them with global markets. “We have not merely partnered with local hospitals, but also with global institutes such as the Stanford Biodesign program and the MassChallenge Accelerator from Boston, USA,” Chen said. ClearMind Biomedical is a graduate from California-based seed accelerator Y Combinator and offers a medical device that can treat hemorrhagic strokes. A clinical study conducted by the company on 198 patients showed their technology could produce 80% reductions in deaths and 70% reductions in complications associated with the disease. The team behind PenguinSmart, who are alumni from Harvard and MIT, founded the company in 2015 in Silicon Valley. PenguinSmart first focused on 32 million Chinese families with children that were slow to learn communication skills. Its online platform combines AI with expert insights and can answer parents’ questions. Caption: Members of Winnoz presented at the demo day. Meanwhile Taiwan’s Winnoz, founded in 2014 in Taipei, offers an onsite disease-risk-assessment platform that includes user-friendly blood micro-sampling and an AI-powered biomarker detection device that can produce results in just one hour. The company says its core technologies involve the only Polymerase chain reaction technology in the world that can detect nucleotide biomarkers directly in whole blood samples without prior purification. “ We believe that medical innovations should be accessible to everyone, especially when it comes to preventing life-threatening diseases,” Winnoz says on its website.